SRM University 2019 Registration has been Extended till 20th April 2019. 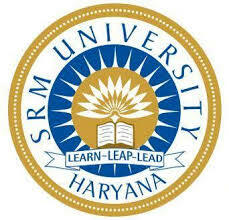 In India, SRM University has four campuses. SRM University campuses offer courses in various educational domains like Humanities, Liberal arts, Management, Engineering, Science, Law, and Medicine. At the named of SRM university conducts its entrance exam for B.Tech. To get admission, it is necessary to appear in the entrance exam to get admission in B.Tech programme in its affiliated campuses. 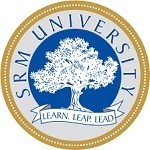 Candidates can check here the SRM University 2019 admission, including Application Form, Fees, Eligibility Criteria, Exam Dates and How to Apply. SRMJEEE Admission 2019 Application Form has been Extended till 20th April 2019. Click Here to Apply. SRM University Admission 2019 (For B.Tech Courses) Online Application Form has been Released Now. Click Here to Register. SRM University 2019 Application Form has been Released Now for Amaravati. Click Here to Apply. Candidates will be able to apply SRM University admission 2019 form on online mode as well as on offline mode. Candidates are advised to fill the SRM University admission 2019 form completely as the incomplete form will be rejected. Check the application related information in this section. SRM University 2019 Application Form has been Released Now for Amaravati. SRMJEEE Admission 2019 Registration has been Extended till 20th April 2019. Candidates are instructed to not leave any field blank in the application form. Candidates will get a unique application number on the computer screen after making payment. TheSRM University 2019 application form is common for all SRM campuses. After filling the application, Upload the colored photograph, signature, 10th, and 12th mark sheet file size not more than 500 kb. Candidates must keep a printout of the application form and keep it safe till counseling and admission procedure. Pay the application fee by using online or by offline mode. Save the application form for further admission proceedings. The application fee will be 1100/-. Candidates can make the payment through online mode or DD. Demand Draft can be made in favor of SRMIST, payable at Chennai. Applier needs to read the Eligibility before moving to the application form filling process. Candidates who fulfill all criteria of SRM University admission 2019 can apply for admission & exam. Check the complete SRM University admission 2019eligibility criteria carefully. Candidates are informed to check the Eligibility Criteria given below to fill the application form. Here, we have given the eligibility criteria for B.Tech course. Nationality: Candidates of India, NRI, OCI, and PIO are eligible to apply. Age: For UG courses, candidate age should fall between 1st July 1998 and 1st July 2003 and for PG courses, 1st July 1994 and 1st July 1999. Qualifying Examination: The candidate should pass the 10+2 examination from any approved board. Minimum Marks: The minimum mark in the qualifying exam is 60% in each subject. Subjects: Candidates must have these subjects in their qualifying exam such as physics, chemistry, and mathematics, Biology, Botany and Zoology/ Biotechnology. qualifying exam: The candidate should have pass/appearing in the qualifying exam in 2018-19. Subjects: Candidates should have Physics, Chemistry, Mathematics, Biology or Biotechnology in their 12th class. For International Baccalaureate (IB) with Diploma, or A-level with Physics, Chemistry, Mathematics or Biology. Candidate should have a bachelor degree in any discipline from a recognized University. Candidates must know the exam dates of SRM University 2019. In below exam dates is provide for candidates preference purpose for candidates so that they will get a rough idea about SRM University 2019. The SRM University admission 2019 application form is made available online as well in offline mode. before filling form check the SRM University admission 2019 application form filling procedure. For any other queries about SRM University Admission 2019 Application Form, you can leave your queries below in the comment box.